Choose a super fund that matches your values. What is the carbon footprint of our investment strategy? What are the members who roll into Future Super avoiding? What other work do we do that delivers on our purpose? We do not invest in any company that mines, burns or extracts fossil fuels, or in companies that provide specific and significant services to the fossil fuel industry. Most super funds make investment choices without considering a companyâ€™s real-world social, ethical and environmental impact. If a company is large or looks profitable, who cares if they make the money from manufacturing nuclear weapons, selling cigarettes, or burning fossil fuels? Our members donâ€™t want their retirement savings funding activities that are harmful to people and the planet. Future Super wonâ€™t invest in any company that fails our strict ethical criteria. Instead, we invest your super money in companies building a better world. Some super funds are called 'ethical' or have a 'sustainable' option, but itâ€™s not easy to work out what this means. Hereâ€™s how we use ethics to shape our investment decisions. At Future Super we use a two-step ethical screening process to ensure your money is invested in companies that can both grow your super savings and build a better world. Out with the bad: our negative screen rules out harmful and destructive industries like fossil fuels, detention centres, live animal export, nuclear, tobacco and more. In with the good: our positive screen ensures we actively seek out companies that are doing social and environmental good, such as renewable energy, healthcare, education and IT. An important part of investing ethically is knowing where your money is invested. 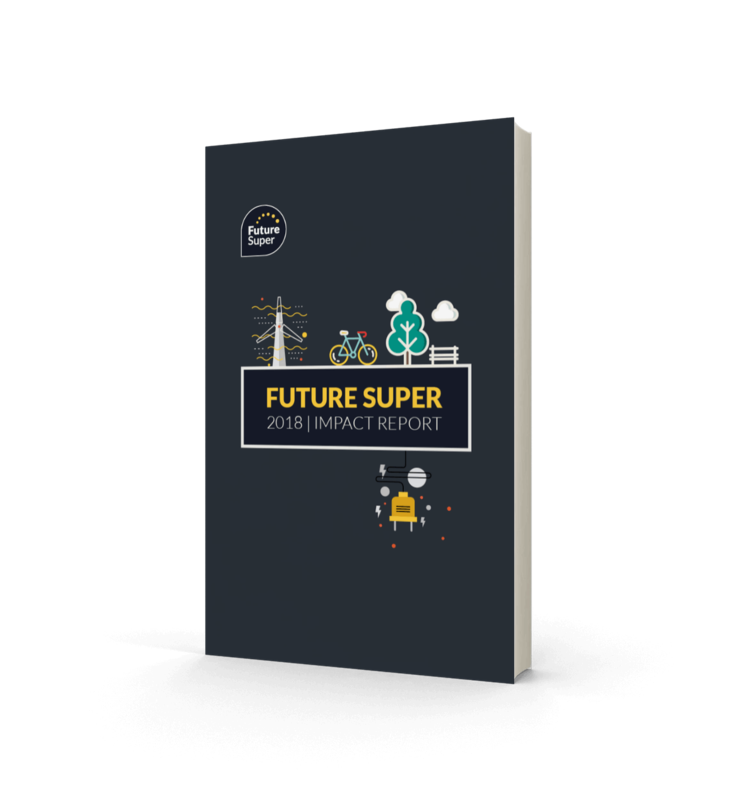 While most super funds only disclose their largest 10 investments, Future Super is fully transparent. Check out theÂ full Future Super portfolio.